On Saturday June 22nd we invite you to celebrate and taste our wines in a open-air restaurant atmosphere at Château Maylandie, Ferrals-les-Corbières! From 7pm to 9pm : free tasting and selling of our wines at preferential price. At 9pm : buffet (15�) and sale at cost price. LE SON DU SWING will provide gypsy jazz music. If you want to have dinner on site (verrines buffet cooked by the Chef Cyril Farina / 15�), please send us your payment before Saturday June 15th to the account of "EARL Maylandie" (address : Château Maylandie � La guinguette � 11200 Ferrals-les-Corbières). You can also pay at our wine-tasting cellar or contact Delphine Maymil (mobile phone : 06 61 93 01 33 � delphine.maymil@maylandie.fr). Château Maylandie : 18, avenue de Lézignan, at Ferrals-les-Corbières (between Carcassonne and Narbonne, just 4 km from the motorway exit Lézignan / A61). 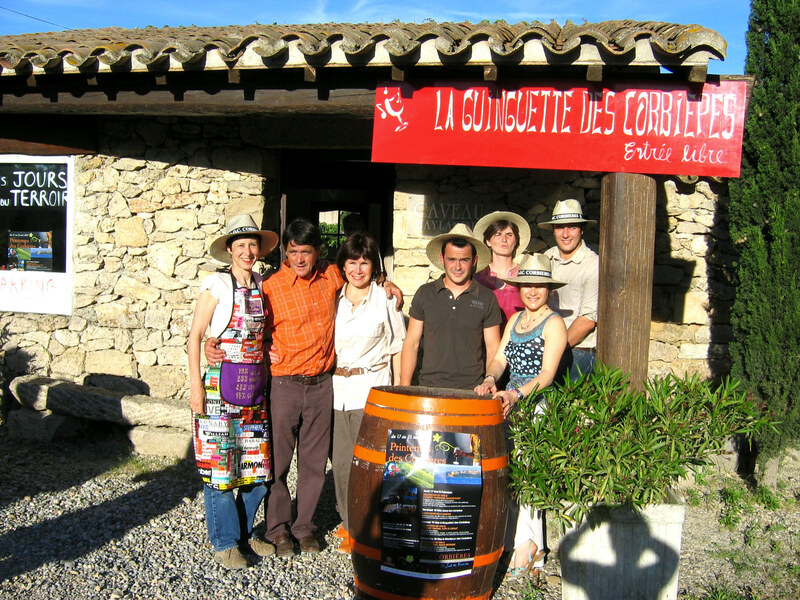 This event is organised by the CIVL (the Languedoc wines interprofessional council) and the ODG (defense and management organisation of the Corbières appellation).